I assume you already have configured the Exchange 2013 SP1 servers for SSL offloading. 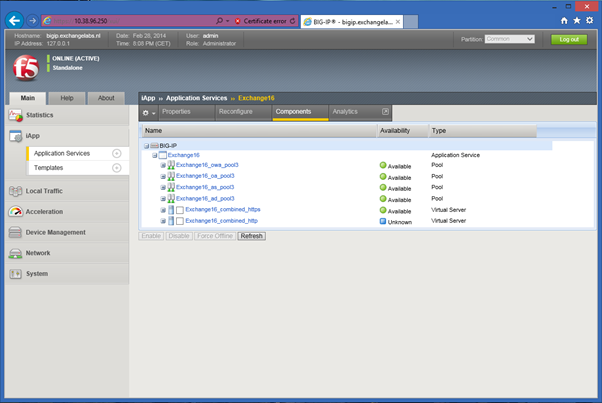 The first we have to do is configure the LTM and create a new VIP or iApp in F5 terminology. To do this you can use an iApp template which are available on the F5 support website. You can download the latest iApp template here: http://support.f5.com/kb/en-us/solutions/public/13000/400/sol13497.html. On this page you’ll also find guidance on which files to download. 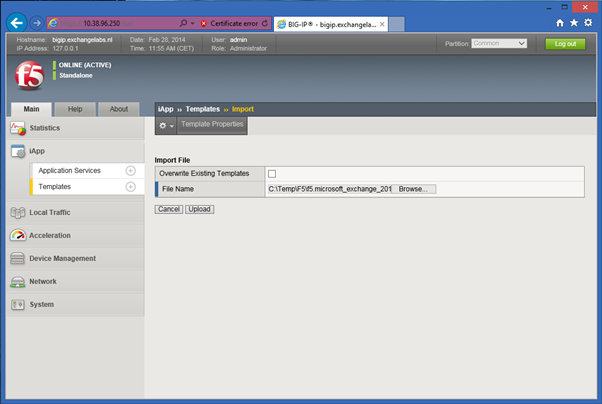 Store the downloaded template files on a local harddrive where you can access them when configuring the LTM. 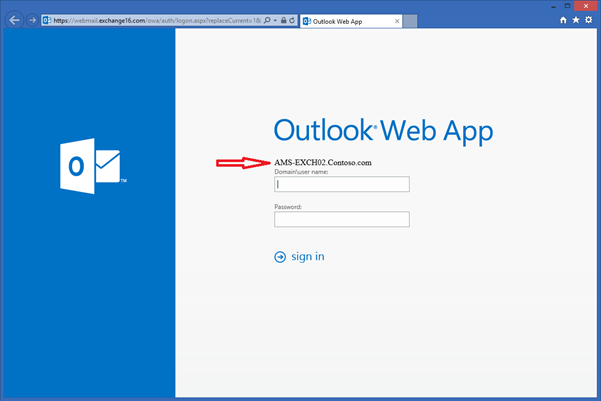 Also store a backup of the SSL certificate (webmail.exchange16.com in my lab) in the same location since we need to upload this as well. Remember that the LTM is terminating the SSL connection and therefore needs the SSL certificate. 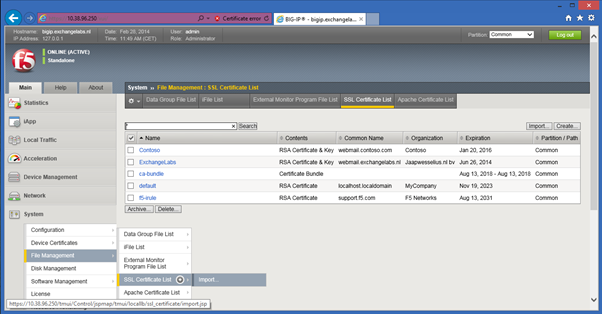 For the Import Type select PKCS12 (IIS), enter the Certificate Name (for example Exchange16-com), select the certificate from the local disk, enter the password and click Import. To import the iApp template we just downloaded open the LTM web console and navigate to iApp | Templates and click the + icon. Use the Browse button to locate the Exchange 2013 template file we just downloaded and click Upload as shown in the following figure. 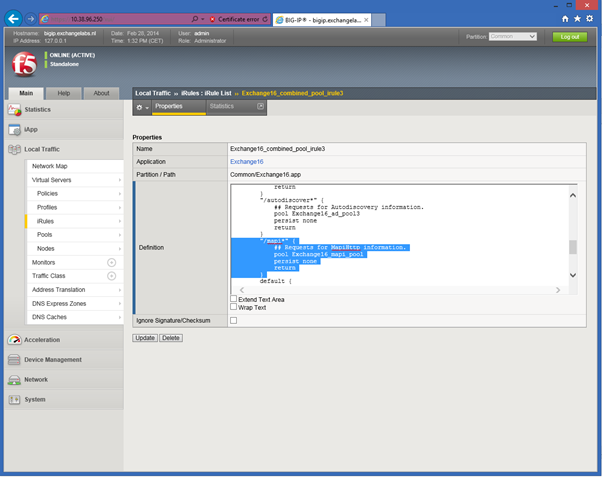 At the moment of writing (just after the release of Exchange 2013 SP1) the template is not supporting Exchange 2013 SP1 but we’ll reconfigure the iApp later on for usage with SP1. Creating a new iApp (or VIP) using a template is really easy. In the LTM web console navigate to iApp | Application Services and click on the + icon. Give the new iApp a name (Exchange16 in this example) and select the f5_microsoft_exchange_2010_2013_cas_v1.2.0 template we uploaded earlier as shown in the following Figure. The other options depend on your implementation of the F5 of course, in my lab the Exchange 2013 SP1 Client Access servers use the F5 as their Default Gateway and I use all services except for POP3 and IMAP4. 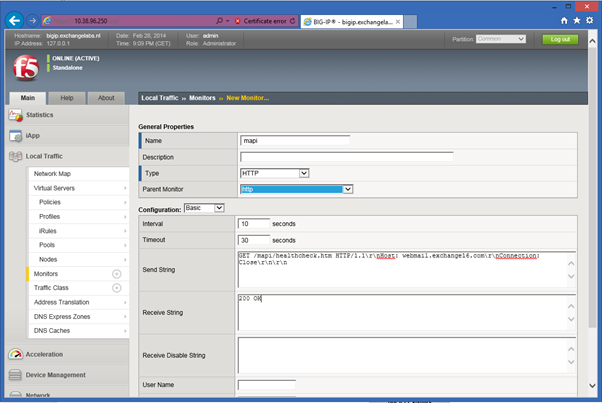 Enter a public IP address for the iApp, add the internal IP addresses of your Client Access servers and enter the FQDN you use for accessing the Exchange environment. When all data is entered successfully click Finish to store the new configuration. 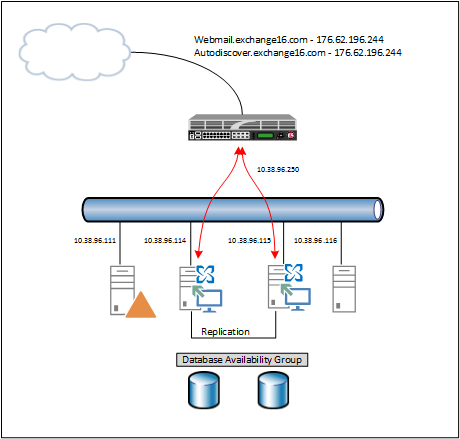 If you want to test the other Exchange 2013 servers you can use the Microsoft Remote Connectivity Analyzer. For creating this iApp the ‘old’ iApp template was used (supports up to Exchange 2013 CU3) so there’s no support for the MapiHttp protocol and we have to configure this manually. 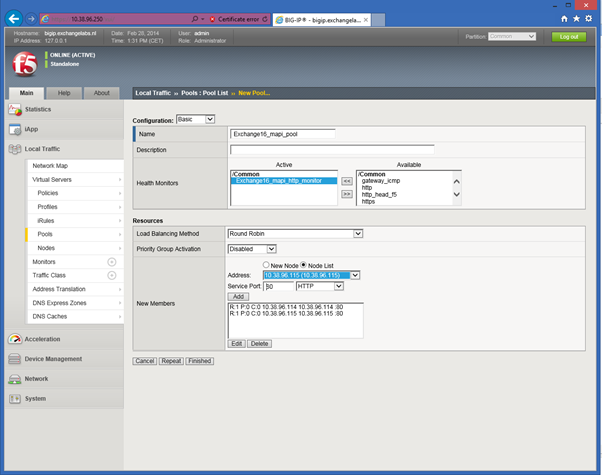 Configure the existing iRule to support the MapiHttp pool. The last step is to edit the existing iRule that’s part to the iApp we’ve created. Navigate to Local Traffic | iRules | iRule List and click on the existing iRule. Its name should be related to the name of the iApp we’ve created earlier, in my environment it is Exchange16_combined_pool_irule3. ## Requests for MapiHttp information. Click Update to save the edited iRule. 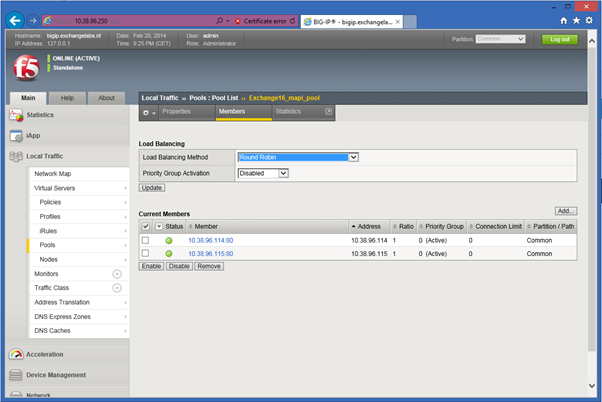 Exchange 2013 SP1 supports SSL Offloading, but using this in a load balancer like the F5 LTM takes some configuration since the downloadable template only supports Exchange 2013 CU3 (as of February 28, 2014 but support for SP1 will be added soon). 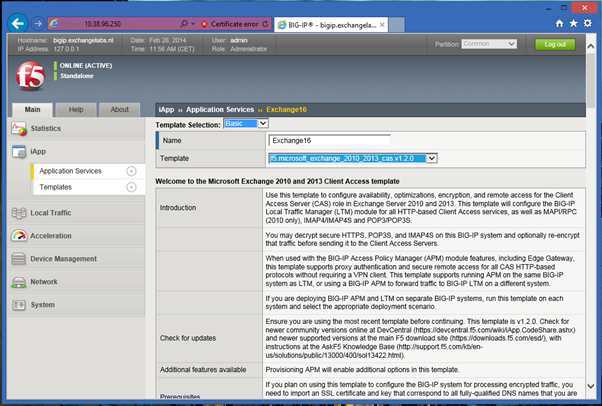 It’s not that difficult to make the necessary changes to you can use the F5 with SSL Offloading in Exchange 2013 SP1.